Poppystamps craft die featuring rectangular frames. Combine your love of cross stitch and shaker elements with this fun new floral design. Add color and texture to the flower petals with thread before using the resulting die cut to frame a photo, image, or sentiment. Alternatively, pop in one of our Circle Shaker Pouches or Circle Shaker Treat Pouches to add movement or showcase a tiny treasure. The Cross-Stitch Flower Frame measures 3 1/8". MFT Die-namics, our very own exclusive American-made line of steel dies. Die-namics dies work with your favorite die-cutting machine. Penny Black craft die featuring a dragonfly. Craft die from Memory Box featuring an oval frame and poinsettia. 3.6 x 4.8 inches oval, 2.4 x 2.2, 2.1 x 2.2 inches poinsettias, 0.3 x 0.4 inch centers; 9.1 x 12.2 centimeters oval, 6.1 x 5.6, 5.3 x 5.6 centimeters poinsettias, 0.8 x 1 centimeter centers. Memory Box craft die featuring a Honeycomb Stitched Circle Frame. 2.5 x 2.5 inches. Craft die from Memory Box featuring a circular frame. Craft die from Memory Box featuring a rectangular frame. Craft die from Memory Box featuring a frame built of workshop tools. Love themed Memory Box craft dies featuring hearts. Largest die is 4.1" x 4.5". 3 dies included. Detabbed and mounted on a magnetic sheet. 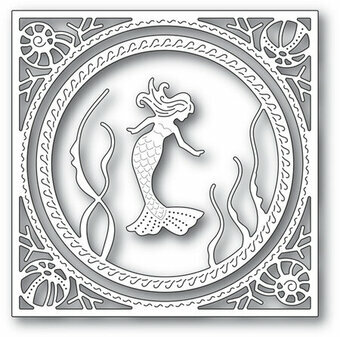 Moonstone cutting dies are the perfect addition to your craft stash. 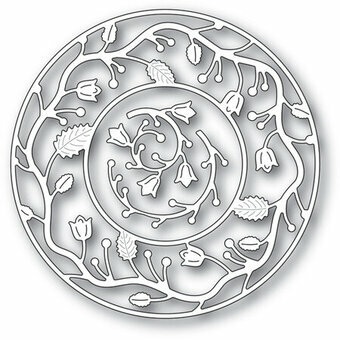 These high quality dies give a wonderful crisp cut and can be used in most die-cutting machines. This package contains Framed & Fabulous: a set of four metal dies measuring between 2.75" x 1.125" and 4.5" x 3.5". Poppy Stamps craft die featuring 4 rectangle frames. 4.25 x 5.5, 3.45 x 4.7, 2.65 x 3.9, 1.85 x 3.1 inches; 10.8 x 14, 8.8 x 11.9, 6.7 x 9.9, 4.7 x 7.9 centimeters. Memory Box craft die featuring a Christmas or Winter scene in a square frame. 100% steel craft die from Memory Box. For use on cardstock, felt, and fabric. Cut, stencil, emboss, create. Use in most leading die cut systems. A2 Tulip Flower Frame Card Creator Etched Dies Exquisite Splendor by Marisa Job is a set of two dies includes an A2 size (4.25 x 5.50 in.) outline frame and an intricate tulip design insert. Botanical Frame Cut and Emboss Folder is an embossing folder with etched dies embedded inside to cut and emboss in one pass. Everything is done for you! Fits an A2-sized (4.25 x 5.5 in.) card front. The sandwich to use with the Spellbinders Platinum Die Cutting Machine from bottom to top is: Platform Plate, Cut and Emboss Folder with cardstock inside and one Cutting Plate. Approximate size: 4.25 x 5.875 in. Crafty-Ann craft die featuring a square frame with a flower. 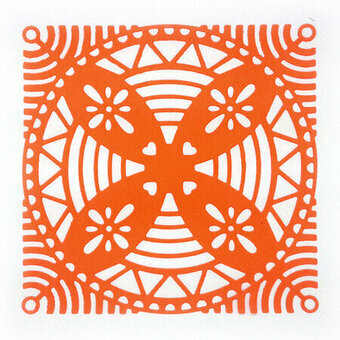 Size: 4 1/4" x 4 1/4" (107mm x 107mm). We love frames, especially versatile shapes. They are great for making shaker cards, or to frame a sentiment, or an entire focal image on a card. This set of 3 frames has an added advantage. When you cut the frame, the inner piece will also be stitched, so you can use it for layering, as a tag, or to inlay back into the frame. 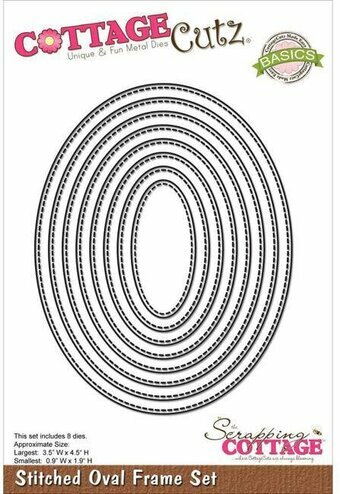 The largest Stitched Notched Oval Frame die measures 5" x 3.75". The middle frame measures 3.375" x 2.5". And, the smallest frame measures 1.7" x 1.25". You will need to separate the dies using flush wire cutters, and you're set to go! These extra large dies will make an impressive impact on any project. 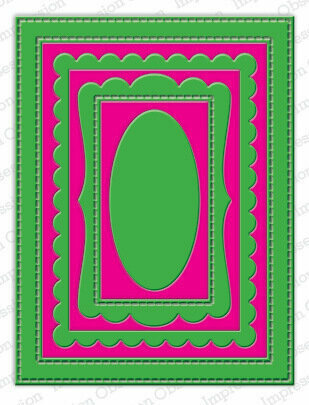 Use them to create frames or backgrounds for your cards in any size you need! 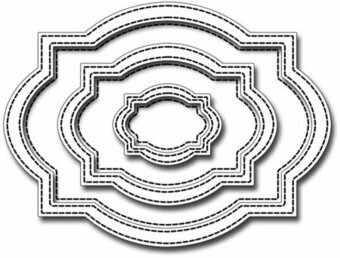 Craft Dies by Sue Wilson are part of an elegant collection of high quality steel dies designed to coordinate with each other. Includes 10 dies. 7.5" x 7.5". 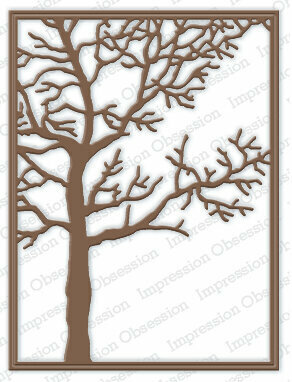 This Autumn themed die measures This die measures 3 3/4" x 5". These are US-made steel dies compatible with most table-top die cutting machines. Craft die Sara Davies featuring a frame with flowers. Largest die size is approximately 3.1" x 3.4". Impression Obsession die featuring rectangles. This die measures 3-3/4 x 5 inches and cuts out multiple nesting frames at once. These are US-made steel dies compatible with most table-top die cutting machines. Make a beautiful background for your card or layout or just use as a frame! Contains 4 dies. A very original and beautiful designed frame that includes an inside frame so you can add layers as well as floral embellishments. 5 dies. Sizes: Smallest: 0.50" x 2.0", Largest: 5.40" x 5.40"
Autumn themed craft die from Yvonne Creations featuring a background of leaves. Craft dies featuring Cupid. Great for Valentine's Day or Love themed projects. Hero Arts Frame Cuts are designed to perfectly pair with their coordinating stamps so you can add architectural form and tidy framing to your cardmaking, stamping projects, and more. They are made of solid metal construction with a sharp and durable cutting edge. Universally compatible, they are engineered to easily to align around your stamped images and stay strong enough to cut through most stamping media. 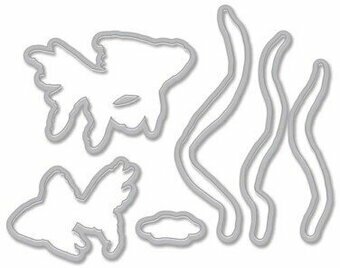 A package of 6 dies that coordinates with CL945 Color Layering Goldfish. Stamp first, cut second! Frame Cuts are wafer thin metal dies that pair perfectly with Hero Arts stamp designs, are universally compatible dies, and are designed to easily align around your stamped images. This set includes 8 dies. Approximate size: Largest 3.5" x 4.5", Smallest 0.9" x 1.9". Craft die featuring a farm and country images, including a barn and windmill. Put this desserts embossing folder to work creating frames for text or photos thanks to its enclosed design. The 4.25 x 5.75-inch size works well for everything from making party invitations to showcasing your favorite bakery in your scrapbook. 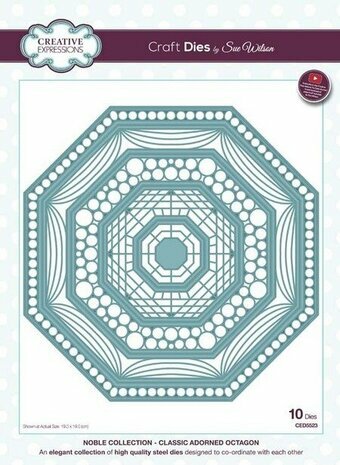 This embossing folder features a border of Winter snowflakes. Add texture and style to your paper and cardstock projects with Darice's embossing folders! Use for scrapbooking, embellishing and much more. These folders fit most embossing machines. Each folder measures 5 3/4 x 4 1/4 inches. Poppystamps craft die featuring a rectangular frame.